As one of our wedding presents, my husband and I were given money to purchase artwork. 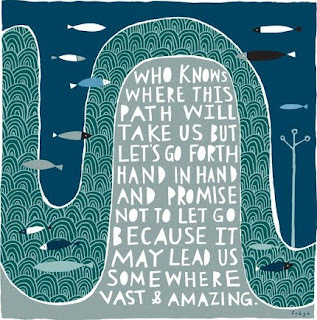 We chose to buy this print by the artist Freya, which we'd seen months ago on Oh So Beautiful Paper and really liked. I've since framed it using a frame I found at Goodwill and painted black, to match all of our other frames. You can view more of Freya's work in her shop.